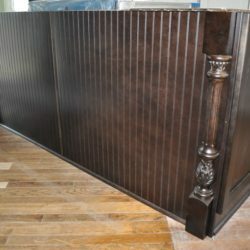 Did you know we offer custom carpentry with our remodels? A few simple upgrades to your cabinets could really set off your kitchen project. We have the expertise to install and customize pieces to make your kitchen stand out. Furniture legs, bead-board and decorative end panels shown on this island.